The monsoon season storms have reached SunBird. SunBird has had several moderate wind/dust storms and has finally had some rain. As of the date of this article, about two inches of rainfall has been received this summer at SunBird. All the vegetation in the area was craving for the additional moisture from the extreme heat and dry weather this summer. No serious damage has been caused by the storms in SunBird other than some trees knocked down with dust and debris all over the area. Chandler is growing with new commercial and residential development almost everywhere. Almost all vacant land in Chandler seems to be under construction for new commercial buildings or residential home development. Another new home development just announced has been proposed to be built on Riggs Road north side, east of McQueen Road near the carwash and small shopping plaza on Riggs Road. It is a smaller family community named “Lucinda” with 41 larger sized lots. “Windermere Ranch” is also a new residential family community of 92 homes planned to be developed on the northeast corner of Riggs and Cooper Roads. This area is currently and has been used as farmland for years, harvesting corn and alfalfa. Horizon Room kitchen remodel is now complete, and the Horizon Room food and beverage services is now open for business as usual. 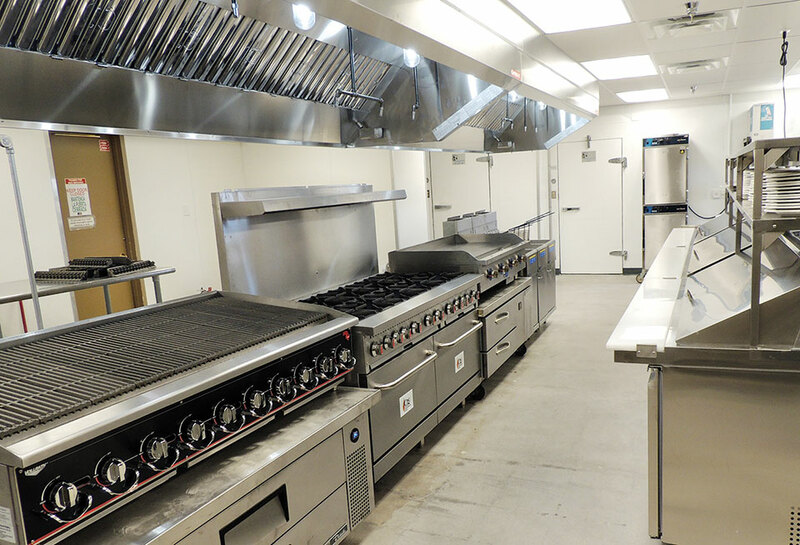 The kitchen remodel project went excellent, passing all City of Chandler and Maricopa County Health inspections. The kitchen has more room for cooking equipment, storage and much more functional. The general contractor Palladio did a great job in overseeing the project. Also, a big thanks to Project Review and Long Range Planning Committee, volunteers and staff for all the many hours of work to assist with this project to ensure that it was completed on time and with good workmanship. We also want to thank the year-round residents who patronized the food and beverage operation from the ballroom during this time of construction. Road maintenance has now been completed for the year in SunBird. The roads in Unit 3 (Augusta and Pebble Beach) and Unit 5 (Oakmont) were completely removed to the rock base and replaced with fresh new asphalt last year. As routine asphalt work, after the first year of new installation, these roads need to be seal coated. Once this first seal coating is completed, the roads are normally seal coated every four to five years as routine maintenance. Units 2, 6, 6a and some adjoining roads were also seal coated this summer. Seal coating is like painting the roads black again with oil and other additives to preserve, protect and prolong the life of the asphalt. SunBird roads are divided into several sections, starting with the original date of installation for routine road maintenance and anticipated complete asphalt replacement. The road maintenance and replacement projects are paid for from the Reserve Fund Savings account. This account is funded from primarily a portion of the annual association’s dues paid from each home ($100 x 1,631 homes = $163,100) and a portion from home sale fees ($800 x 110 = $88,000) for total annual projected funding of $251,100. 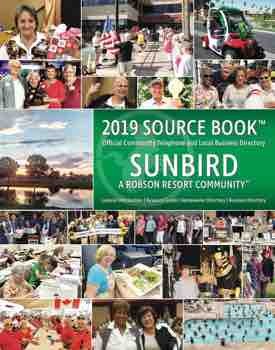 The Reserve Fund expense schedule is projected out over the next 20 years to the year 2037 to plan for the funding and replacement of these large SunBird assets. The elevator at the clubhouse had the new emergency back-up system installed in July. The function of this back-up system is to operate only once if people are currently in the elevator during the time of power failure. The system will allow the elevator to lower the bottom level of the clubhouse (fitness room), and the doors will open. After that, the elevator will not operate again until power resumes in the clubhouse. Efforts have been made this year to make the clubhouse a safer place to be in the case of an emergency with back-up lighting, additional signage, first kits and equipment and an emergency plan. Usually during the month of September, the weather begins to start cooling down, and residents begin slowly returning back to SunBird. Please stop by the clubhouse to check in and learn and see the improvements made this summer. Welcome back! We also want to thank those brave residents who stayed in SunBird enduring the heat and storms of the summer season! We look forward to another busy and fun-filled upcoming season.